The instrumentation couldn’t really have been better selected, providing a nice colouration that allows the stories to stand out with the listener gradually finding that the easy going tempos allied to those excellent lyrics become quite addictive. This excellent band is made up of John Reeves on lead vocals and guitar, Josh Flowers on bass, Joe Kirkpatrick, lead guitar, Marty Shimek plays harmonica, Dustin Shimek on percussion, Michael O’ Connor, guitar, slide guitar and mandolin, Ben C. Morris, banjo, Scotty McClure, trombone and producer Mark Jungers also helps out with harmonica, percussion, organ, mouth bow and harmony vocals. All of the songs were written by John Reeves except Idaho by Mike Vance and John Swasey, Propain by John Reeves and Chuck Jones, Joe and Deb Kirkpatrick, Roxie Humble and K. Jones. Sugar land girl by John Reeves and Joe Kirkpatrick The album was recorded mixed and mastered by Mark Jungers at River tone studios, Martindale, Tx. John Reeves warm easy going, if expressive, vocal caresses it’s way through each of these simple but beautifully written songs, very few of which reach mid tempo but that is no disadvantage on an album that has as comforting a flow as this one. 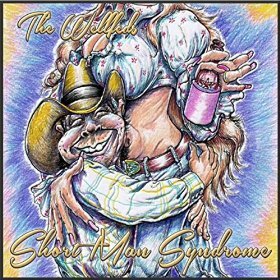 The album opens with the title track Short Man Syndrome which gets going with an easy going tempo on an equally easy going song aided by some lovely acoustic guitar playing and warm vocals on a nice relaxed love song. This is followed by Idaho, another relaxed easy going song, this time accompanied by trumpet, acoustic guitar, mandolin and percussion on a story of lost love that doesn’t take itself too seriously, in some ways enhancing the strength of the song! Time Has A Way is a gorgeous reflective ballad with acoustic guitar and steel on a composition that stylistically has a lot in common with John Prine of several decades ago. This has a nice full sound and despite it’s brevity is an excellent tale with quite poetic lyrics. Pile In The Yard includes an appealing high lonesome acoustic guitar and mandolin sound on a song about a relationships end. It is underpinned by a humourous element that thanks to John Reeves vocal and clever lyrics also tugs at the heartstrings! Songwriter Schemes is another beautifully written tale with lovely harmonica and acoustic guitar on an entertaining story of the ups and downs of songwriting. Last but very far from least, James Debord has a warm mellow vocal that gets the listener checking the label to ensure it’s not Guy Clark; it’s not, and sympathetic support is provided by the usual excellent guitar aided by harmonica and percussion. This is certainly not a powerful or edgy album but there is always a place in roots music for artists who write good songs, are expert on their instruments, with good arrangements and easy going warm vocals. Comparisons are meaningless really but there are occasions on this album when I’m strongly reminded, certainly vocally, of Guy Clark and John Prine. Perhaps their songs generally have more power, but it’s hardly an insult to compare them to this excellent band and their easy going recording!